For more than 35 years, the flat-twin boxer engine in the BMW GS model has stood for powerful and reliable propulsion when it comes to setting off on an extended tour or a long-distance journey. With the extensively further advanced boxer engine with BMW ShiftCam technology, the new R1250GS achieves a whole new level of performance, culture and efficiency. 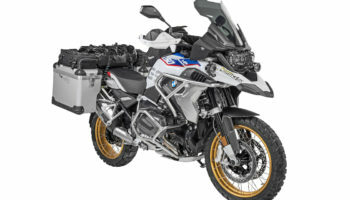 Touratech will have an entire line of R1250GS accessories and we can’t wait to get our hands on this bike!